Such a timeless piece that would make a perfect gift..for yourself! 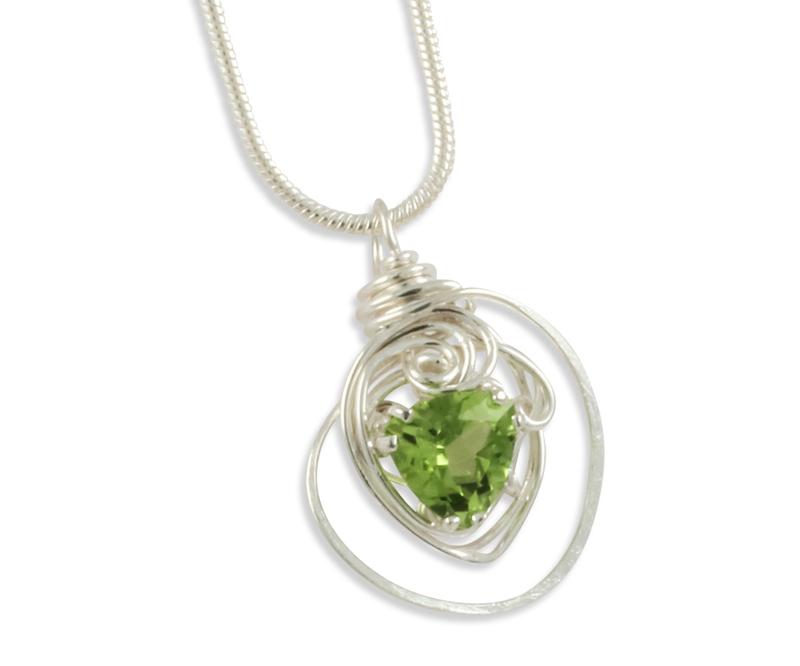 This 7×7 trillion cut peridot pendant is wrapped in 22 gauge Sterling Silver. A trillion cut peridot is a luscious green that will always pop out.